This webpage is for the Fall 2013 running of this course. The most recent running can be found here. Course homepage http://www.cs.cornell.edu/courses/cs6742/2013fa. Main site for course info, assignments, readings, lecture references, etc. ; updated frequently. Course Piazza page http://piazza.com/cornell/fall2013/cs6742 Course announcements and Q&A/discussion site. Social interaction and all that, you know. This page last modified Tue November 26, 2013 8:32 AM. More and more of life is now manifested online, and many of the digital traces that are left by human activity are increasingly recorded in natural-language format. This course examines the opportunities for natural language processing to contribute to the analysis and facilitation of socially embedded processes. The intended audience is strongly research-oriented students. Brake, David R. 2009. ‘As if nobody’s reading’? : The imagined audience and socio-technical biases in personal blogging practice in the UK. Ph.D. Thesis, the London School of Economics and Political Science. Hancock, Jeffrey T., Jennifer Thom-Santelli, and Thompson Ritchie. 2004. Deception and design: The impact of communication technology on lying behavior. Proceedings of the SIGCHI conference on Human factors in computing systems (CHI): 129-134. doi:10.1145/985692.985709. Marwick, Alice E., and danah boyd. 2010. I Tweet Honestly, I Tweet Passionately: Twitter Users, Context Collapse, and the Imagined Audience. New Media & Society (July 7). doi:10.1177/1461444810365313. Pang, Bo, and Lillian Lee. 2008. Opinion Mining and Sentiment Analysis. Foundations and Trends in Information Retrieval 2, no. 1-2 (January): 1-135. doi:10.1561/1500000011. Describes the positive/negative opinion examples from lecture in more detail (and gives their sources) on pages 19 and 21. The Radicati group. Email Statistics Report, 2011-2015. May 2011. Remark on the effectiveness of Amazon review quotes. From LinkedIn page of someone stating that they worked on the product. The Harriet Klausner appreciation society. A site regarding Harriet Klausner, one-time number-one top reviewer on Amazon.com. Otterbacher, Jahna. Gender, writing and ranking in review forums: A case study of the IMDB. Knowledge and Information Systems 35 (3): 645-664, 2012. Pang, Bo, and Lillian Lee. 2008. Opinion Mining and Sentiment Analysis. Foundations and Trends in Information Retrieval 2, no. 1-2 (January): 1-135. doi:10.1561/1500000011. Section 5.2.4 reviews work on predicting helpfulness of reviews; later work can be found by forward-searching in a citation database for work that cites the references from our chapter. Pinch, Trevor and Filip Kesler. 2011. How Aunt Ammy gets her free lunch: A study of the top-thousand customer reviewers at Amazon.com. http://www.freelunch.me/filecabinet. Possibly related version (I haven't looked carefully): Trevor Pinch, "Book Reviewing for Amazon.com: How Socio-technical Systems Struggle to Make Less From More," in Managing Overflow in Affluent Societies, Barbara Czarniawska and Orvar Löfgren (eds.). New York and London: Routledge, 2012. Wu, Fang, and Bernardo A. Huberman. 2010. Opinion formation under costly expression. ACM Transactions on Intelligent Systems and Technology 1, no. 1: 1-13. Danescu-Niculescu-Mizil, Cristian, Gueorgi Kossinets, Jon Kleinberg, and Lillian Lee. 2009. How opinions are received by online communities: A case study on Amazon.com helpfulness votes. Proceedings of WWW: 141—150. The slides we looked at in class can be found in this pdf. Kim, Soo-Min, Patrick Pantel, Tim Chklovski, and Marco Pennacchiotti. 2006. Automatically assessing review helpfulness. Proceedings of EMNLP, 423-430. Liu, Jingjing, Yunbao Cao, Chin-Yew Lin, Yalou Huang, and Ming Zhou. 2007. 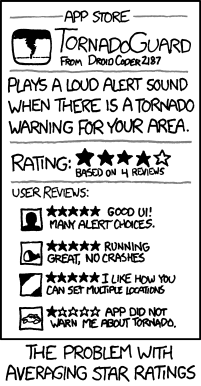 Low-quality product review detection in opinion summarization. Proceedings of EMNLP-CoNLL, pp.334--342. Lu, Yue, Panayiotis Tsaparas, Alexandros Ntoulas, and Livia Polanyi. Exploiting social context for review quality prediction. Proceedings of WWW, 691-700, 2010. Zhang, Zhu and Balaji Varadarajan. 2006. Utility scoring of product reviews. Proceedings of CIKM, pp.51--57. Wikipedia pages we examined: An article's talk page. An article's revision history page. A structured user talk page. An unstructured user talk page. Statistics on Wikipedians. Requests for adminship. Article deletion discussions. Backstrom, Lars, Jon Kleinberg, Lillian Lee, and Cristian Danescu-Niculescu-Mizil. 2013. 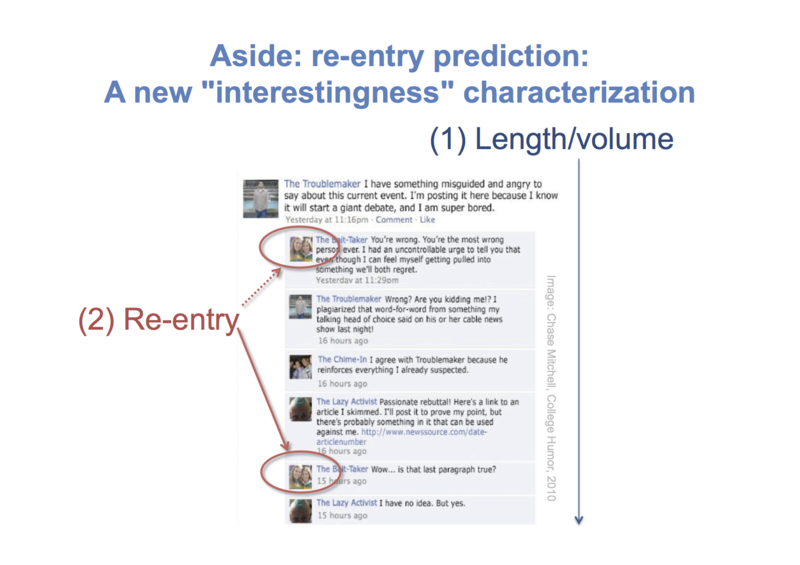 Characterizing and curating conversation threads: Expansion, focus, volume, re-entry. Proceedings of WSDM, pp. 13–22. Bakshy, Eitan, Jake M. Hofman, Winter A. Mason, and Duncan J. Watts. 2011. Everyone's an influencer: Quantifying influence on Twitter. Proceedings of WSDM. Chen, Zoey and Jonah Berger. 2013. When, why, and how controversy causes conversation. Journal of Consumer Research, 40:580–593. De Choudhury, Munmun, Hari Sundaram, Ajita John, and Dorée Duncan Seligmann. 2009. What makes conversations interesting? : Themes, participants and consequences of conversations in online social media. Proceedings of WWW, pp. 331–340. Elsner, Micha and Eugene Charniak. September 2010. Disentangling chat. Computational Linguistics 36 (3): 389-409. Ferschke, Oliver, Johannes Daxenberger, and Iryna Gurevych. 2013. A survey of NLP methods and resources for analyzing the collaborative writing process in Wikipedia. Chapter 5 in The People's Web Meets NLP: Collaboratively Constructed Language Resources. Gómez, Vicenç, Andreas Kaltenbrunner, and Vicente López. 2008. Statistical analysis of the social network and discussion threads in Slashdot. Proceedings of WWW, pp. 645–654. Gilad Mishne and Natalie Glance. 2006. Leave a reply: An analysis of weblog comments. Third Annual Workshop on the Weblogging Ecosystem. Nov, Oded. 2007. What motivates Wikipedians? CACM 50(11):60–64. Shmueli, Erez, Amit Kagian, Yehuda Koren, and Ronny Lempel. 2012. Care to comment? : Recommendations for commenting on news stories. Proceedings of WWW, pp. 429–438. Wang, Yi-Chia, Mahesh Joshi, and Carolyn Penstein Rosé. 2008. Investigating the effect of discussion forum interface affordances on patterns of conversational interactions. Proceedings of the 2008 ACM Conference on Computer Supported Cooperative Work (CSCW), pp. 555–558. Jurafsky, Dan, and Martin, James H. 2009. Speech and language processing: An introduction to natural language processing, computational linguistics, and speech recognition Second edition, illustrated. Upper Saddle River, N.J.: Prentice Hall. Chapter 21 covers discourse. Bracewell, David B., Marc T. Tomlinson, and Hui Wang. Identification of social acts in dialogue. Proceeedings of COLING, pp. 375--390. Clark, Herbert H. 1996. Using language. Second edition. Cambridge University Press. Clark, Herbert H., and Fox Tree, Jean E. 2002. Using uh and um in spontaneous speaking. Cognition 84, no. 1: 73 - 111. doi:10.1016/S0010-0277(02)00017-3. Egg, Markus and Gisela Redeker. 2010. How complex is discourse structure? Proceedings of LREC, 1619-1623. Wolf, Florian and Edward Gibson. 2005. Representing discourse coherence: A corpus-based study. Computational Linguistics 31(2):249-288. Class really meets on Wednesday Oct 2, 4-5pm in the 301 College Ave seminar room: Cristian Danescu-Niculescu-Mizil (MPI-SWS) is giving the IS colloquium on Language and social dynamics in online communities. Danescu-Niculescu-Mizil, Cristian, Moritz Sudhof, Dan Jurafsky, Jure Leskovec, and Christopher Potts. 2013. A computational approach to politeness with application to social factors. Proceedings of ACL. Danescu-Niculescu-Mizil, Cristian, Robert West, Dan Jurafsky, Jure Leskovec, and Christopher Potts. 2013. No country for old members: User lifecycle and linguistic change in online communities. Proceedings of the 22nd International Conference on World Wide Web, pp.307–318. Danescu-Niculescu-Mizil, Cristian, Michael Gamon, and Susan Dumais. 2011. Mark my words! Linguistic style accommodation in social media. Proceedings of WWW. Danescu-Niculescu-Mizil, Cristian and Lillian Lee. 2011. Chameleons in imagined conversations: A new approach to understanding coordination of linguistic style in dialogs. Proceedings of the Cognitive Modeling and Computational Linguistics Workshop. Ireland, Molly E., Richard B. Slatcher, Paul W. Eastwick, Lauren E. Scissors, Eli J. Finkel, and James W. Pennebaker. 2011. Language style matching predicts relationship initiation and stability. Psychological Science 22 (1): 39-44. Levelt, Willem J. M., and Stephanie Kelter. 1982. Surface form and memory in question answering. Cognitive Psychology 14(1):76–106. Taylor, Paul J and Sally Thomas. 2008. Linguistic style matching and negotiation outcome. Negotiation and Conflict Management Research 1:263–281. van Baaren, Rick B. , Rob W. Holland, Bregje Steenaert, and Ad van Knippenberg. 2003. Mimicry for money: Behavioral consequences of imitation. Journal of Experimental Social Psychology 39 (4): 393-398. Blitzer, John, Ryan McDonald and Fernando Pereira. 2006. Domain adaptation with structural correspondence learning. Proceedings of EMNLP, 120--128. Ott, Myle, Yejin Choi, Claire Cardie, and Jeffrey T. Hancock. 2011. Finding deceptive opinion spam by any stretch of the imagination. Proceedings of the ACL. Thomas, Matt, Bo Pang, and Lillian Lee. 2006. Get out the vote: Determining support or opposition from Congressional floor-debate transcripts. Proceedings of EMNLP, 327--335. Read at least one (and shoot for both, if you have time) of the readings for Th Oct 17th (lecture 14). Post a project proposal inspired by one or both of these readings to Piazza by 5pm Wed the 16th; include the general idea, and a suggestion for a dataset. A paragraph suffices (and more is great, if you feel inspired!). Thoughtfulness and creativity are what I'm most interested in, but take feasibility into account. Do glance at each other's proposals, and comment as you see fit, before class on the 17th. Here is a real-life example of a proposal and subsequent discussion, posted with permission. Backstrom, Lars, Dan Huttenlocher, Jon Kleinberg, and Xiangyang Lan. 2006. Group formation in large social networks: Membership, growth, and evolution. In Proceedings of KDD, 44-54. "Taken together, these results support the notion that a burst of authors moving into a conference C from some other conference B are drawn to topics that are currently hot at C; but there is also evidence that this burst of authors produces papers that are comparably impoverished in their usage of terms that will be hot in the future". Bordia, Prashant and Nicholas Difonzo. Problem solving in social interactions on the internet: Rumor as social cognition. Social Psychology Quarterly 67 (1): 33--49. Broder, John M. 2007. Familiar Fallback for Officials: ‘Mistakes Were Made’. The New York Times, March 14. The "past exonerative". Choi, Eunsol, Chenhao Tan, Lillian Lee, Cristian Danescu-Niculescu-Mizil, and Jennifer Spindel. 2012. Hedge detection as a lens on framing in the GMO debates: A position paper. Proceedings of the ACL Workshop on Extra-Propositional Aspects of Meaning in Computational Linguistics, pp. 70--79. Greene, Stephan and Philip Resnik. 2009. More than words: Syntactic packaging and implicit sentiment. Proceedings of NAACL, pp. 503--511. Gruhl, Daniel, R Guha, David Liben-Nowell, and Andrew Tomkins. 2004. Information diffusion through blogspace. In Proceedings of WWW, 491-501. Guerin, Bernard and Yoshihiko Miyazaki. Analyzing rumors, gossip, and urban legends through their conversational properties. Psychological Record 56 (1): 23-34. Heath, Chip, Chris Bell, and Emily Steinberg. Emotional selection in memes: The case of urban legends. Journal of Personality 81 (6): 1028-1041. Kwak, Haewoon, Changhyun Lee, Hosung Park, and Sue Moon. What is twitter, a social network or a news media? Proceedings of WWW, 591-600. Madnani, Nitin and Bonnie J Dorr. Generating phrasal and sentential paraphrases: A survey of data-driven methods. Computational Linguistics 36 (3): 341-387. Wu, Fang, Bernardo A. Huberman, Lada A. Adamic, and Joshua R. Tyler. Information flow in social groups. Physica A: Statistical and Theoretical Physics 337 (1-2): 327-335. Leskovec, Jure, Lars Backstrom, and Jon Kleinberg. 2009. 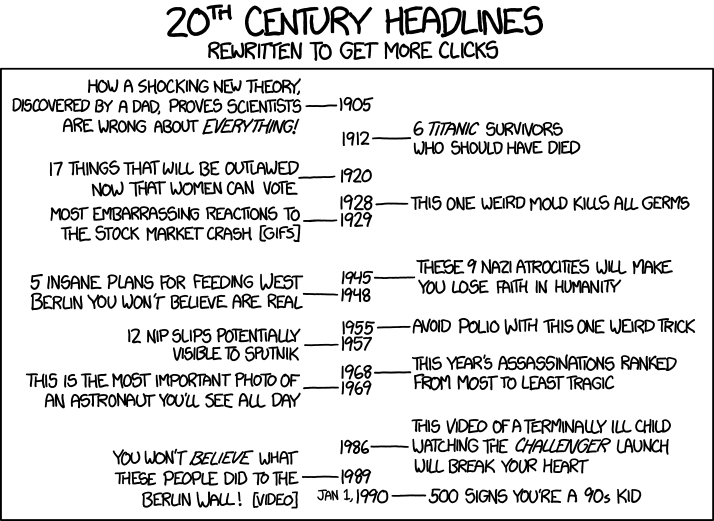 Meme-tracking and the dynamics of the news cycle. Proceedings of KDD, pp. 497--506. Shaparenko, Benyah and Thorsten Joachims. 2007. Information genealogy: Uncovering the flow of ideas in non-hyperlinked document databases. In Proceedings of the 13th ACM SIGKDD International Conference on Knowledge Discovery and Data Mining, 619-628. Adamic, Lada A and Natalie Glance. 2005. The political blogosphere and the 2004 U.S. Election: Divided they blog. Proceedings of the 3rd International Workshop on Link Discovery, pp. 36--43. This is in reference to whether referencing implies agreement. Agrawal, Rakesh, Sridhar Rajagopalan, Ramakrishnan Srikant, and Yirong Xu. 2003. Mining newsgroups using networks arising from social behavior. In Proceedings of the 12th International Conference on World Wide Web, 529-535. This is in reference to whether referencing implies agreement. Biran, Or and Owen Rambow. 2011. Identifying justifications in written dialogs. Proceedings of the IEEE International Conference on Semantic Computing (ICSC), pp. 162--168. Access to the pdf can be achieved through the Cornell library. Lakkaraju, Himabindu, Julian McAuley, and Jure Leskovec. 2013. What's in a name? Understanding the interplay between titles, content, and communities in social media. Proceedings of ICWSM. Murakami, Akiko and Rudy Raymond. 2010. Support or oppose? : Classifying positions in online debates from reply activities and opinion expressions. Proceedings of the 23rd International Conference on Computational Linguistics: Posters, pp. 869--875. This is in reference to whether referencing implies agreement. All the next Piazza posts are due at 5pm the day before the in-class discussion, to allow more time for feedback. Bender, Emily M, Jonathan T Morgan, Meghan Oxley, Mark Zachry, Brian Hutchinson, Alex Marin, Bin Zhang, and Mari Ostendorf. 2011. Annotating social acts: Authority claims and alignment moves in Wikipedia talk pages. Proceedings of the ACL-HLT Workshop on Language in Social Media, pp. 48--57. The URL for the AAWD corpus has changed since the paper was published; it's now here. Eisenstein, Jacob. 2013. What to do about bad language on the internet. Proceedings of NAACL-HLT, pp. 359--369. Brought up in class: "Other approaches don't have to be bad in order for your approach to be good", from a blog post by Hal Daumé. The SRI Language Modeling Toolkits FAQ: see questions D4 and D5 about OOV words. Abbott, Rob, Marilyn Walker, Pranav Anand, Jean E Fox Tree, Robeson Bowmani, and Joseph King. 2011. How can you say such things?!? : Recognizing disagreement in informal political argument. In Proceedings of the Workshop on Languages in Social Media, 2-11. Galley, Michel, Kathleen McKeown, Julia Hirschberg, and Elizabeth Shriberg. 2004. Identifying agreement and disagreement in conversational speech: Use of bayesian networks to model pragmatic dependencies. In Proceedings of the ACL. Hassan, Ahmed, Amjad Abu-Jbara and Dragomir Radev. 2012. Detecting subgroups in online discussions by modeling positive and negative relations among participants. Proceedings of EMNLP-CoNLL. Hillard, Dustin, Mari Ostendorf, and Elizabeth Shriberg. 2003. Detection of agreement vs. Disagreement in meetings: Training with unlabeled data. Companion Volume of the Proceedings of HLT-NAACL 2003--short Papers - Volume 2, pp. 34--36. Marin, Alex, Bin Zhang and Mari Ostendorf. 2011. Detecting forum authority claims in online discussions. Proceedings of the ACL-HLT Workshop on Language in Social Media, pp. 39--47. Mayfield, Elijah and Carolyn P. Rosé. 2011. Recognizing authority in dialogue with an integer linear programming constrained model. Proceedings of the ACL. Murakami, Akiko and Rudy Raymond. 2010. Support or oppose? : Classifying positions in online debates from reply activities and opinion expressions. Proceedings of the 23rd International Conference on Computational Linguistics: Posters, pp. 869--875. Pierrehumbert, Janet B. 2012. The dynamic lexicon. In Handbook of Laboratory Phonology, pp. 173--183. Petrovic, Sasa, Miles Osborne, and Victor Lavrenko. 2013. I wish I didn't say that! Analyzing and predicting deleted messages in Twitter. eprint arXiv:1305.3107. Not required reading since analyzing tweet deletion would probably be out of scope for this semester, resource-wise, and not quite in scope with respect to social interaction. Bramsen, Philip, Martha Escobar-Molana, Ami Patel, and Rafael Alonso. 2011. Extracting social power relationships from natural language. Proceedings of ACL HLT. The Enron email dataset can be found here. Mukherjee, Arjun, Vivek Venkataraman, Bing Liu, and Sharon Meraz. 2013. Public dialogue: Analysis of tolerance in online discussions. Proceedings of the ACL. Stack Overflow question where a non-asker edited the question, and where a non-asker "took over" the askers role. A sample www.debate.org "duel" (not the term used on the site). See scanned introductory notes for the next lecture on some interesting characteristics of such duels. Other sites I've seen referenced in other papers or webpages but haven't looked at much yet: www.forandagainst.com, www.convinceme.net, idebate.org. Danescu-Niculescu-Mizil, Cristian, Lillian Lee, Bo Pang, and Jon Kleinberg. 2012. Echoes of power: Language effects and power differences in social interaction. Proceedings of WWW, pp. 699--708. Prabhakaran, Vinodkumar, Owen Rambow, and Mona T Diab. 2012. Who's (really) the boss? Perception of situational power in written interactions. COLING, pp. 2259--2274. Gottipati, Swapna, Minghui Qiu, Yanchuan Sim, Jing Jiang, and Noah A Smith. 2013. Learning topics and positions from Debatepedia. Proceedings of EMNLP. Appendix. Not required reading because the Mukherjee et al. paper gives an overview of more areas, which is useful for generating project ideas. Mayfield, Elijah, David Adamson, and Carolyn Penstein Rosé. 2012. Hierarchical conversation structure prediction in multi-party chat. Proceedings of ACL SigDIAL, pp. 60--69. Not required reading due to time constraints because the data annotation required to reproduce the work is probably out of scope for this semester, resource-wise. Treude, Christoph, Ohad Barzilay, and Margaret-Anne Storey. May 2011. How do programmers ask and answer questions on the web? (NIER track). Proceedings of the International Conference on Software Engineering (ICSE), 804-807. Abu-Jbara, Amjad, Pradeep Dasigi, Pradeep Diab, Pradeep Diab, Mona Diab, and Dragomir Radev. 2012. Subgroup detection in ideological discussions. Proceedings of ACL. Anderson, A, Daniel Huttenlocher, Jon Kleinberg, and Jure Leskovec. 2012. Discovering value from community activity on focused question answering sites: A case study of Stack Overflow. In Proceedings of KDD. Dalip, Daniel Hasan, Marcos André Gonçalves, Marco Cristo, and Pavel Calado. 2013. Exploiting user feedback to learn to rank answers in Q&A forums: A case study with Stack Overflow. Proceedings of SIGIR, pp. 543--552. Harper, F. Maxwell, Daniel Moy, and Joseph A. Konstan. 2009. Facts or friends? : Distinguishing informational and conversational questions in social Q&A sites. In Proceedings of CHI, 759-768. Oktay, Hüseyin, Brian J Taylor, and David D Jensen. 2010. Causal discovery in social media using quasi-experimental designs. Proceedings of the First Workshop on Social Media Analytics, pp. 1--9. Tausczik, Yla R and James W Pennebaker. 2011. Predicting the perceived quality of online mathematics contributions from users' reputations. Proceedings of CHI, pp. 1885--1888. Wang, Gang, Konark Gill, Manish Mohanlal, Haitao Zheng, and Ben Y. Zhao. 2013. Wisdom in the social crowd: an analysis of Quora. Proceedings of WWW, pp. 1341--1352. Boyd-Graber, Jordan, Kimberly Glasgow, and Jackie Sauter Zajac. 2013. Spoiler alert: Machine learning approaches to detect social media posts with revelatory information. Proceedings of ASIST. Ebert, Roger. 2005. Critics have no right to play spoiler. Freeman, Nate. 2010. The history and use of "Spoiler Alert". Klosowski, Thorin. 2012. How to block annoying tech rumors and movie spoilers on your brower. Note tag filtering capabilities that some sites have. Singer, Matt. 2012. Does Rotten Tomatoes Need a Spoiler Warning System? TV Tropes guidelines about handling spoilers. http://www.doesthedogdie.com Those who only wish to know about a particular movie should shrink their browser window and just use the search box at top, or use http://www.doesthedogdie/search instead. Druck, Gregory and Bo Pang. 2012. Spice it up? Mining refinements to online instructions from user generated content. Proceedings of ACL. "Actionable improvements" (or changes to avoid) are kind of like a spoiler one would want to see and search for. #19 Tu Nov 5 No class (LL out of town). Two+ paragraph informal term-project proposal draft due on Piazza by 5pm -- but posting significantly beforehand will increase the quality of feedback, and help with deciding to team up. Proof-of-concept presentations: everyone shows as cool an example as you can find of the phenomena you've proposed to study, or, alternately, an example that shows that what you've been proposing to study may be problematic. Handouts or slides OK. Think about a 5-7 minute time frame, and assume everyone has read your Piazza project proposal. The idea is to get you looking at your data and acquiring a feel for what might turn out to be interesting as soon as possible. By 5pm the night before (i.e., Monday), post a brief description of your progress, especially any cool findings and/or any problems you've run into, as a follow-up to your Piazza project proposal. Doing so will help us have a more productive individual discussion, and in some cases allow us to cancel the individual meeting on Tuesday as appopriate. W Dec 11 Final project due on CMS by 11:59pm. I'm expecting something like an ICWSM/ACL paper in terms of style, inclusion of discussion of related work, etc. I have no particular page length in mind, but please highlight the most interesting findings (positive or negative).